Capture the spirit and soul of Hawai'i as you visit Oahu, Kaua'i, Maui and the Big Island. 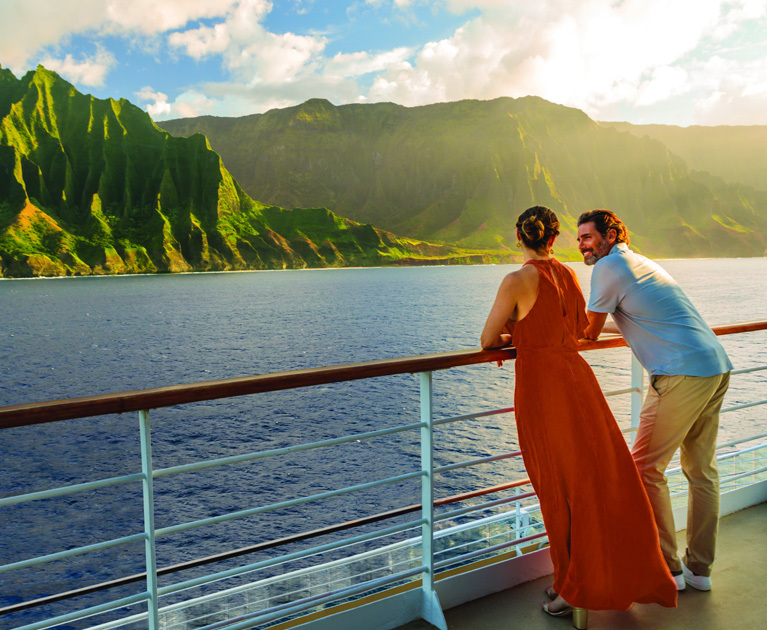 Whether you're pounding the surf, exploring the Kualoa Mountain Ridge, or learning an authentic hula dance, this will be the holiday where you discover what paradise means to you. 23 Nov 2019, subject to availability. Other Saturday departures available year round, surcharges apply. Embark, cruise departs at 7 pm. Advertised prices are person twin share, cruise only and correct at time of publication and are subject to availability and change at any time without notification due to fluctuations in charges, taxes and currency. Offer is valid on new bookings only. ^Inside stateroom choose one bonus offer. Oceanview and Balcony staterooms choose two free offers. ¹Shore excursion credit is $50USD per port per stateroom. Offers and combinability with other promotional offers is subject to change at any time. The third and fourth guest sail at a reduced rate only valid on select dates. Other conditions apply. Please contact your personal travel manager for full terms and conditions.